Automated micro-needling (also known as collagen induction therapy or CIT) is a new innovation in aesthetic medicine that can help treat the appearance of fine lines, acne scars and the skin’s overall appearance. During this procedure, the Eclipse MicroPen® is used to create controlled micro-injuries to the skin in order to produce collagen and elastin. Eclipse MicroPen® is the most advanced medical-grade automated micro-needling device on the market. Immediately after the treatment you will notice a bright redness to the skin. The total healing time depends on the Eclipse MicroPen® setting used and the number of overlapping passes your skincare professional performs. On average, patients are red up to 2 to 4 days. Some patients heal completely in as little as 24 hours. Utilizing the Eclipse Dermal Recovery System™, or other quality skincare products, provided by your skincare provider, can help to speed up the post-care process. Some patients only require a single treatment, once per year to achieve optimal results. However, it is recommended for most patients to receive a series of 2-3 treatments spaced about 6-8 weeks apart. For patients with deep wrinkles, advanced photo-aging, stretch marks or acne scars, your skin care provider may recommend 6-8 sessions at 6 week intervals. 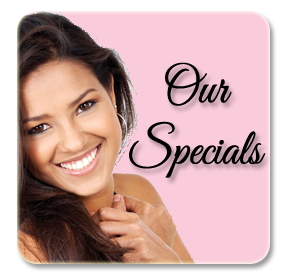 Call us to schedule an appointment: 508-429-1006. Your med spa serving the Holliston/Metrowest area. Interleukins, Macrophages, Keratinocytes, Endothelial Cells, Lymphocytes, Fibroblasts, Osteoblasts, Basophils, Mast Cellsactivates fibroblast differentiation. Induces collagen and proteoglycan synthesis for healthy cell production and repair of damaged tissues.